The organization conducted a survey of 400 physicians across the nation in January 2015, and conducted a follow up study in July 2018. 1. The majority of respondents (89 percent) said the "business and regulation of healthcare" has changed the practice of medicine for the worse. 2. Eighty percent of physicians said they are personally at risk for burnout at some point in their career. 3. Almost all the physicians surveyed (96 percent) said they have personally witnessed or personally experienced the negative impacts of physician burnout. 4. 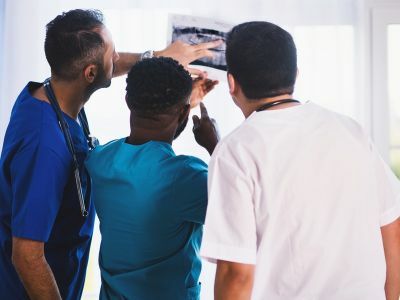 Eighty-six percent of physicians agreed that "the heightened demand for data reporting to support quality metrics and the business side of healthcare has diminished my joy in practicing medicine." 5. More than two-thirds of those surveyed (68 percent) said they lack the appropriate staff and resources to use EHR data to its full potential.